New proposals to give local communities a greater say in what is done to protect them from the risks of flooding and coastal erosion have been announced today. Defra and the Environment Agency have published a consultation on a new national flood and coastal erosion risk management strategy for England which aims to allow greater local involvement in planning and prioritising flood defences. “Last week in Cornwall I saw for myself the devastating impact of flooding on families and businesses alike. “It is essential that communities, businesses, local authorities, the Environment Agency and Government work together to reduce the risk of flooding and coastal erosion to people, property and the environment. At the same time proposals to change the system for allocating money for flood defences are also being published, so that more schemes can get the go ahead. The proposed new funding criteria would mean that more flood defence schemes benefit from some level of Government funding. Those who will directly benefit from the schemes, such as local businesses and community groups, will have the opportunity for further voluntary investment. “The old rules mean that a scheme that doesn’t qualify for total Government investment gets pushed to the back of the queue and sometimes never gets built. The new approach responds to Sir Michael Pitt’s findings in his review of the 2007 floods that central government cannot pay for all flood defence schemes. Government would therefore pay for a share of the benefits and outcomes that each project could achieve, as opposed to the full costs of fewer schemes under the current guidelines. Payments would be made based on the individual benefits of the schemes, such as for each household protected or value of economic benefits. This would mean that schemes in rural areas would be judged on a level playing field with schemes in more densely populated areas. Any private contributions to the cost of flood defences will be entirely voluntary and communities at most risk of flooding will still be prioritised for Government funding. Please see the The National Flood and Coastal Erosion Risk Management Strategy. Please see The Future funding for flood and coastal erosion risk management consultation. The National Flood and Coastal Erosion Risk Management Strategy meets the requirements of the Flood and Water Management Act and the Pitt Review. 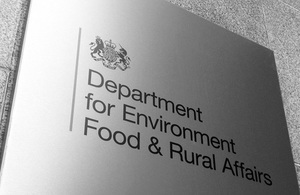 The Payment for Outcomes consultation meets a recommendation by Sir Michael Pitt that Government should “develop a scheme which allows and encourages local communities to invest in flood risk management measures”.